At this year’s Annual Scientific Meeting of the American Association of Neurological Surgeons (AANS) in Los Angeles the Medical Technology Business Group of ZEISS introduces KINEVO 900 – the first Robotic Visualization System. 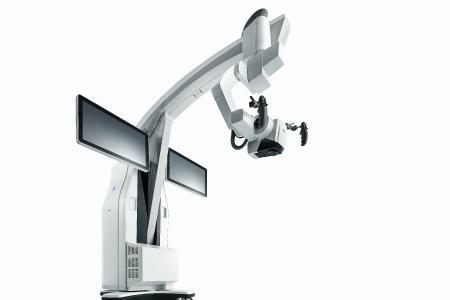 It combines Digital Hybrid Visualization – the possibility to use new digital or classical optical modes, QEVO – the unique Micro-Inspection Tool, and all-new Surgeon-Controlled Robotics. 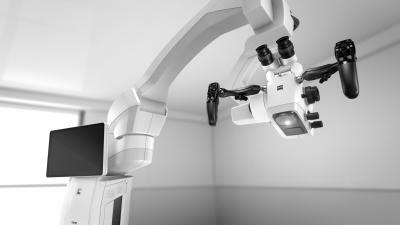 The three-in-one visualization solution merges the previously always separate functions of a surgical microscope, ocular-free digital 4K 3D exoscope and in-situ images to gain greater certainty, while using robotics to reduce manual effort in a unique, new way. 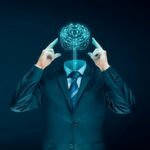 Neurosurgeons want to focus on surgery and have comprehensive information exactly when they need it. "When we decided that the all-new visualization system would be robotic, our vision was to be able to much better assist the surgeons. In addition, we addressed their request to look around the corner and work heads-up, while still having the freedom of choice to use the optical view for parts of the surgery, where this may be preferable," says Dr. Ludwin Monz, President and CEO of Carl ZEISS Meditec AG. "I was fortunate enough to have the ability to use the QEVO addition to the microscope which I find really provides that final solution of being able to see around corners. It visualizes the area we are interested in, that we can’t see through the microscope. Because QEVO can be seen as it’s inserted into the operative field while still having the microscope view it adds a degree of safety that we have not had," states Dr. Robert F. Spetzler, Barrow Neurological Institute, Phoenix, USA. "Together with leading neurosurgeons we developed and integrated scores of cutting-edge innovations into ZEISS KINEVO 900," says Dirk L. Brunner, Senior Vice President, Microsurgery Division, Medical Technology Business Group, "all with the goal of providing neurosurgeons with innovations that support them in their clinical decisions. We are convinced that our new Robotic Visualization SystemTM will help move the field to a new level." 1 Not for sale in the USA. 510(k) is pending. Not available in all markets. 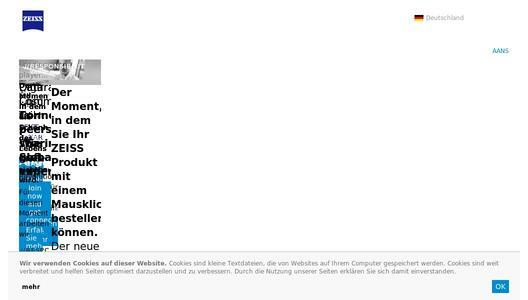 Carl Zeiss Meditec AG (ISIN: DE 0005313704), which is listed on TecDAX of the German stock exchange, is one of the world's leading medical technology companies. The Company supplies innovative technologies and application-oriented solutions designed to help doctors improve the quality of life of their patients. It provides complete packages of solutions for the diagnosis and treatment of eye diseases, including implants and consumable materials. The Company creates innovative visualization solutions in the field of microsurgery. With approximately 2,900 employees worldwide, the Group generated revenue of € 1,088 million in financial year 2015/16 (to 30 September). The Group's head office is located in Jena, Germany, and it has subsidiaries in Germany and abroad; more than 50 percent of its employees are based in the USA, Japan, Spain and France. The Center for Application and Research (CARIn) in Bangalore, India and the Carl Zeiss Innovations Center for Research and Development in Shanghai, China, strengthen the Company's presence in these rapidly developing economies. Around 41 percent of Carl Zeiss Meditec AG's shares are in free float. The remaining approx. 59 percent are held by Carl Zeiss AG, one of the world's leading companies in the optical and optoelectronic industries.